I think I just found Santa Claus’ holiday lair (or at least where his reindeers escape to get some R&R). I must admit, Nara was nowhere near my go-see radar. That was before a little bird told me that it was home to free-roaming wild deer, who didn’t mind being doted on by humans (that is a lot, we’re not exactly the world’s cutest species). 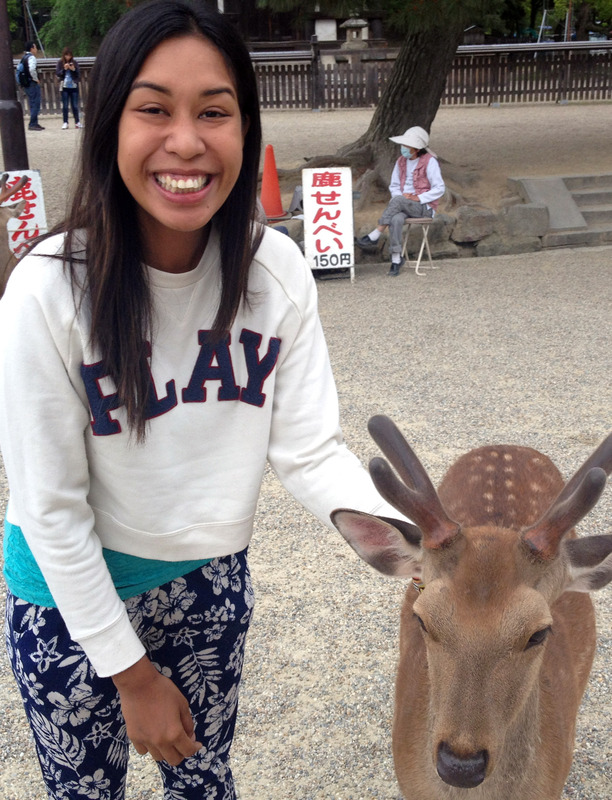 On my return to Kansai, we hopped on the JR for a quick day trip to Nara. Nara turned out to be a nice alternative to Kyoto, if you are all for immersing yourself in the rustic, nostalgic side of Japan, but are a bit wary of getting caught in the tourist stampede. Only a handful of people stepped off the train with us. As we strolled through the cafes lining the path that led to Nara Park, it almost felt like we were the only excursionists around. Twenty minutes in, and still not a single four-legged friend in sight. I was promised Bambi! 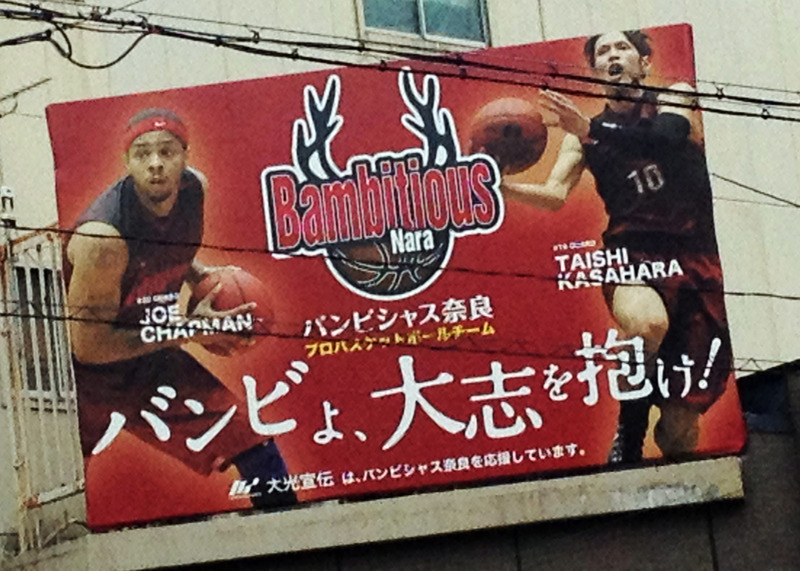 There was barely a souvenir shop we passed that was not dotted with antlers, so I was quite sure we were in the right town. So really, where do you guys hide the gifts? Although they were not very tall and bulky, I was still very hesitant to go near them at first (most likely, it was because of the antlers). 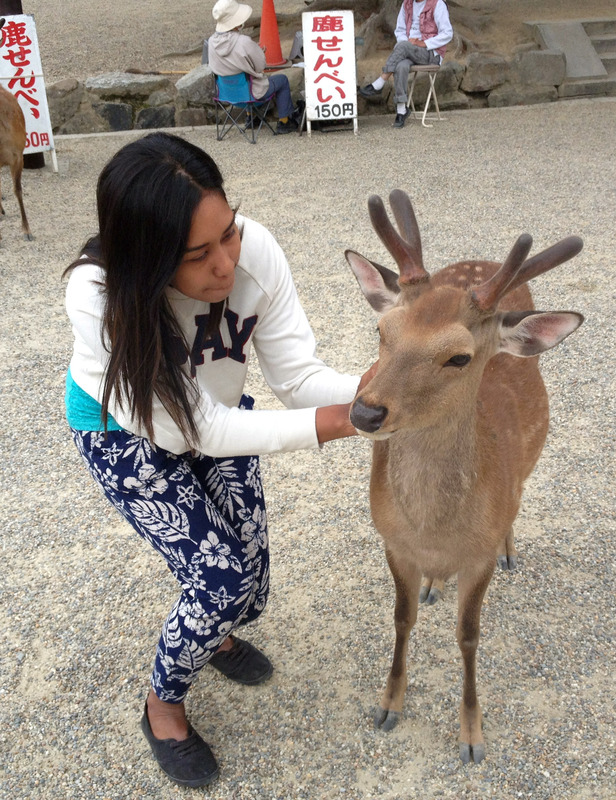 Our four-legged friends turned out to be very easygoing though, even letting you touch their velvety crowns. 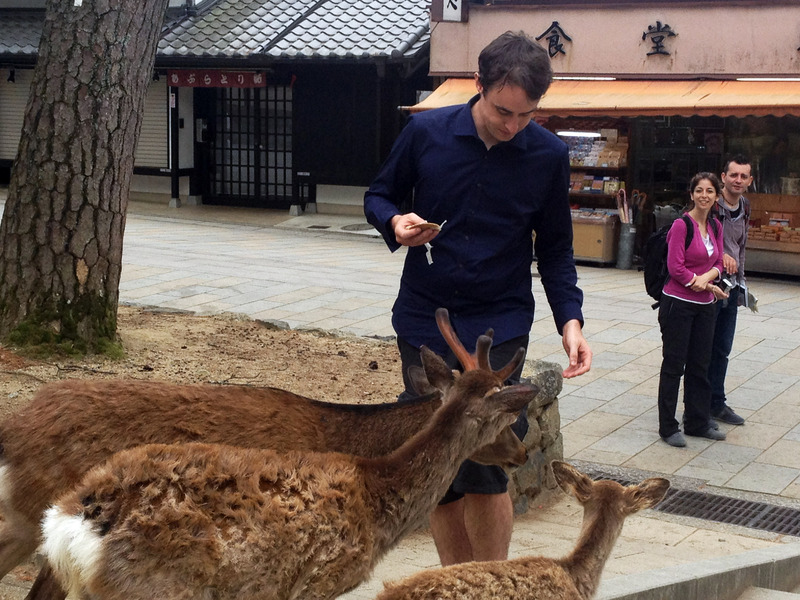 If you REALLY want them to be happy to see you, you can buy a pack of the ‘deer cookies’ peddled for 150 yen everywhere in Nara; you’d be the most popular guy around. Once we got past the shops, wild deer was almost everywhere we went — in the temple grounds, in the gardens, on the mountain side. Roaming around was almost more about being one with nature, rather than simply sightseeing. Tall pines loom over you as you walk through the park; seeing the deer freely live their day-to-day sans zoo fences was also, in a way, a bit heartwarming. Sure, the pagodas and zen gardens here might not be as grandiose as the ones in Kyoto, but Nara gives quite a unique and rather refreshing experience. 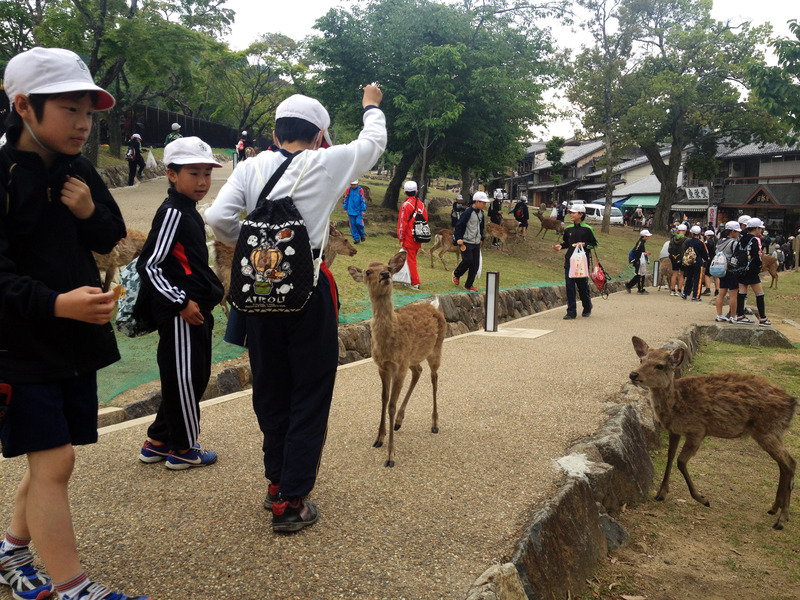 We came across several groups of students while wandering around Nara. It was fun to see that I wasn’t the only one running and shrieking like a kid when the deer swarms to you for some biscuits. Drat, that would have been a way-cooler blog post title!